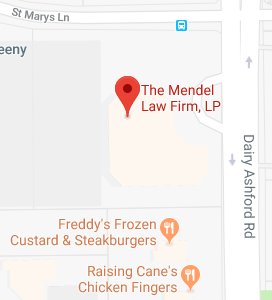 Houston Estate Planning Services | The Mendel Law Firm, L.P. Problems often arise when people don’t coordinate all of these methods of passing on their estate. If you have a well-drafted estate plan in place, you will increase the likelihood that your estate passes to whom you want, when you want, and is carried out in the manner you’ve chosen. You can find comfort that your family likely won’t have to endure the public process and costly matter of probate. The government won’t be able to take what you’ve spent a lifetime building. But you need to be aware of the many options that exist in estate planning – and you must choose your estate planning attorney wisely. The Mendel Law Firm offers a wealth of free information on Estate Planning. Read our Estate Planning Articles, download our free worksheet, or cal us today at 281-759-3213.